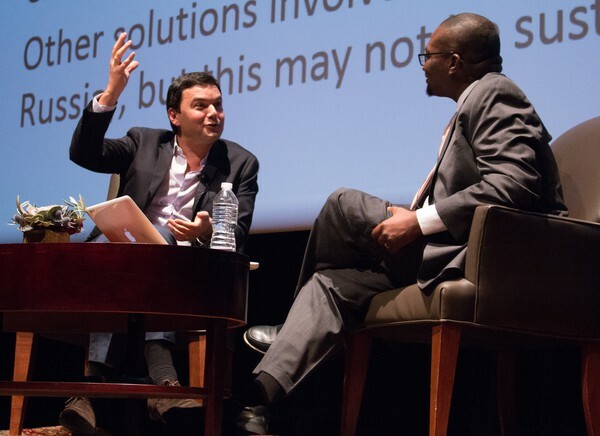 Thomas Piketty, a professor at the Paris School of Economics, delivered a lecture on global economic inequality to a sold-out audience at the Logan Center on Friday, November 6. The lecture was based on his bestselling book Capital in the Twenty-First Century, which discusses his research on global historical trends in income and wealth distributions. The talk revolved around three points: the long-term dynamics of income inequality, the return of wealth-based society, and the future of wealth concentration. 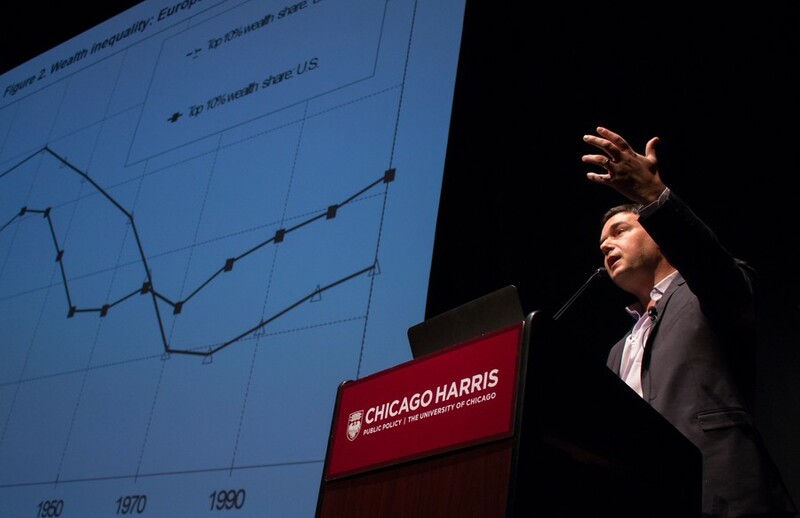 Piketty discussed the faults of certain widely accepted economic beliefs, such as the idea that inequality rises and then declines as economies develop. He cited the incline in inequality in the U.S. during the 1970s as evidence against this theory. “Today we are not just talking about a small group of people making more than average. We are talking about changes which have macroeconomic significance,” he said. Further, Piketty said the wealth-to-income ratios observed in rich countries today seem to be returning to the high values of 18th- and 19th-century Europe, which could be relevant for the rest of the world in the long term. “Having a high wealth-to-income ratio is not very bad in itself if it comes with equality. But it creates new policy challenges in terms of financial regulation,” Piketty said. He said that the high rate of return to capital over the growth rate of aggregate GDP as seen today tends to amplify inequality in the long run and must be accounted for in shaping future wealth regulations. “The ideal solution to correct this kind of process will be to have more transparency about wealth dynamics and to be able to adjust the tax rate to what is happening,” Piketty said. He said that there is still a lot more research to be done on inequality, but that he is happy to have achieved his aim of stimulating more debate on the subject. The lecture was followed by a discussion between Piketty and professor Kerwin Charles at the Harris School of Public Policy, as well as a book signing.